I've just bought CC last week, but still worry whether I can do it well. Looks fine to me... Thoughts? Looks fine to me too! Good job! Rolex uses rare elves to polish the platinum. They have a union deal and make like $90 per hour and get time and half on weekends. I could instantly pick that watch out of 1,000 Rolex brushed watches. It doesn’t look the same as a Rolex brushed finish at all. Easily fixed though in a service. I just had my new CHNR a week and managed to slightly scratch the back. Normally I wouldn't be bothered with long-term scratches as take my Daytona TT in the sea etc but with it being new I was a bit annoyed. It was the clasp that was scratched a touch, intiially tried the old toothpaste and consequently made it slightly worse duh! with some little marks. Bought a cape cod and just gently rubbed the marks and the scratch and perfect!! Mind you be very very gentle, I only rubbed the polish gold part on my TT CHNR so its great now all marks gone. Read Cape Cod's instructions - it says "Not intended for brushed stainless steel or other brushed metals". I love cape code. Purchased one pack like 10 years ago. Just opened it and tried it about 1 month ago. Worked like a charm on my Datejust from 2012. Agreed. This thread has me convinced that people might not understand the difference between "brushed" and "polished" since everyone uses only the term "polished" when discussing refinishing a case and bracelet. Cape Cod is for polished surfaces, not brushed surfaces. Shiny/polished areas, yes, that's safe. Mask off the brushed areas for best results. Hi, yes it should be fine, just don't be tempted to polish for the sake of it. I know a few guys who think they are going to get some extra shine out of the things lol!, get them small scratches out with CC then use a microfibre cloth to clean it up, then enjoy! It doesn't look original, but it doesn't look bad either. Looks good. 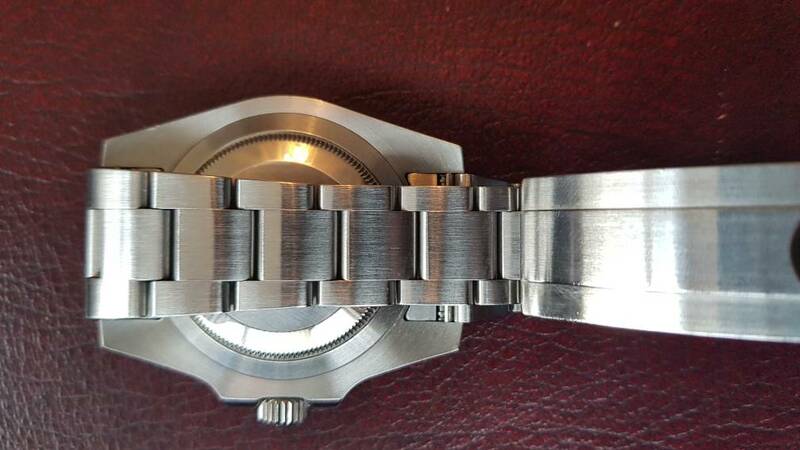 I used a Cape Cod cloth on the polished part of my Datejust clasp and it turned out great. I had a few minor scratches on the clasp and the Cape Cod made them disappear. I taped up the brushed parts when doing this. what type of tape did you use to cover the brushed areas? i have used painters tape in the past and a few others. care to recommend? also, did you tape off individual link pieces or the entire bracelet. The BLNR looks great. Tis the plight of the PCLs for some. I still would never send mine in for a polish. Also, if anyone has a pick. what does roles do as polish during service. Are we still weary or do they have, the 'proper tools" that i hear about? I only wear my metal watches when I can keep my wrist physically in my safe for pictures. They don’t dare break the plane of the safe door. 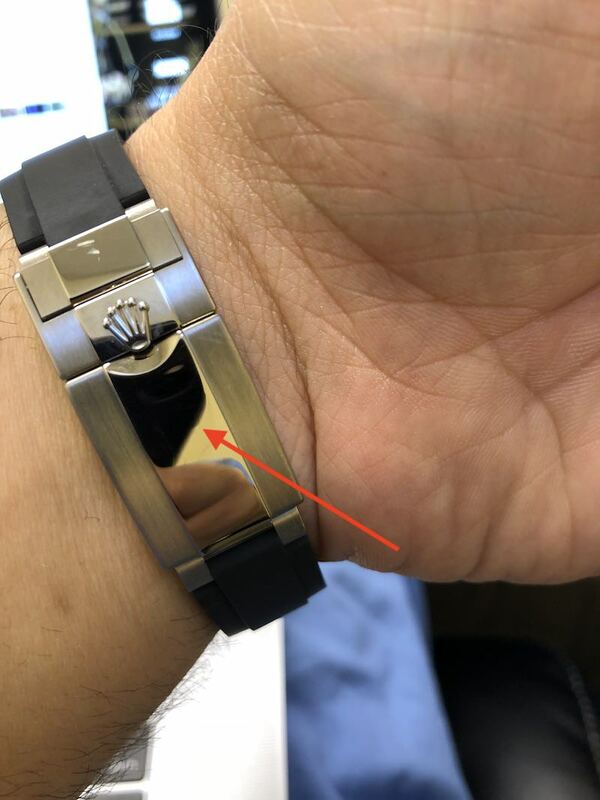 Why is it so hard for certain watch owners to leave scratches on the watch and or bracelet and have it done by Rolex when it is time for a service? If you can leave the scratches on the watch for 4 years, why not wait another few years and have it done by Rolex during a service? 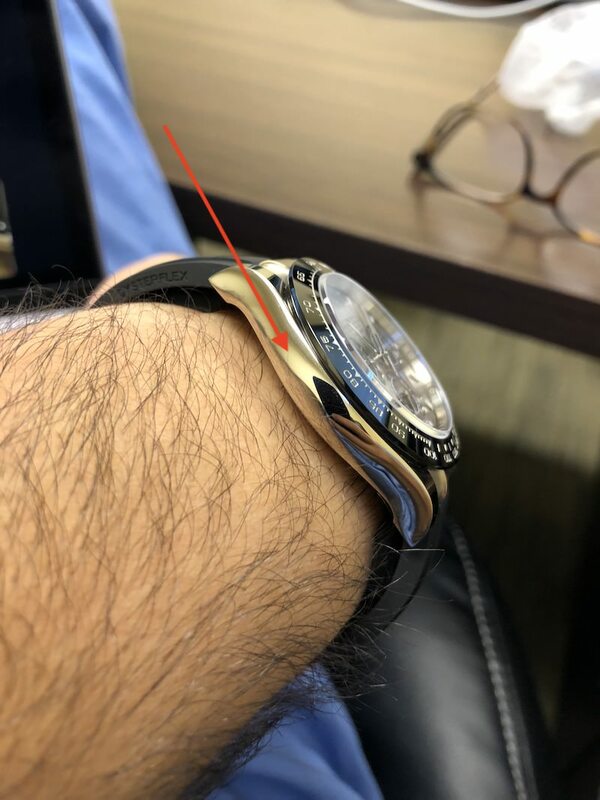 I dare to say that you can always see that a watch and or bracelet is polished by it's owner (with cape cod and or scotch brite) when handling the watch even if it looks fabulous in pictures. Just stop polishing your watches yourselves! !